It’s that time of year again! 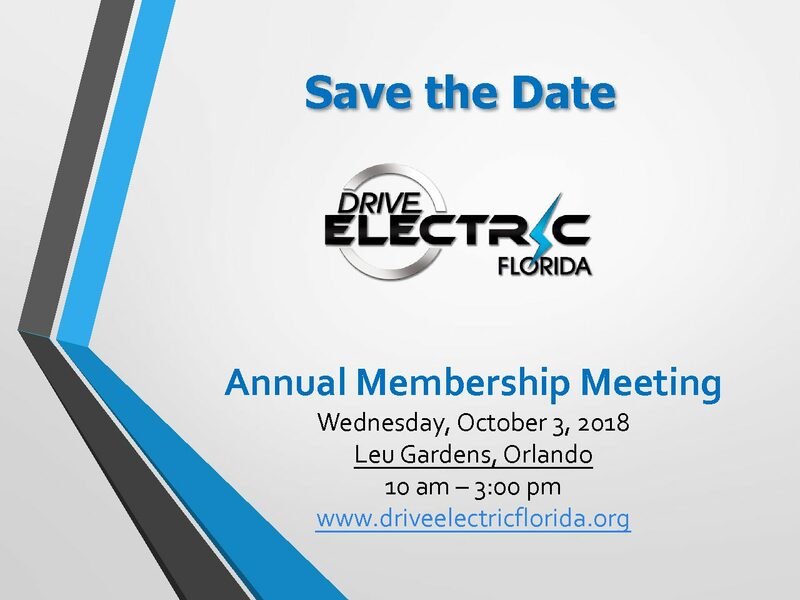 Drive Electric Florida will be holding its annual membership meeting on Wednesday, October 3, 2018 from 10 am – 3 pm at Leu Gardens, Orlando. This meeting is open to all general members of Drive Electric Florida. If you are interested in becoming a member or want to learn more, you can find our membership page here.